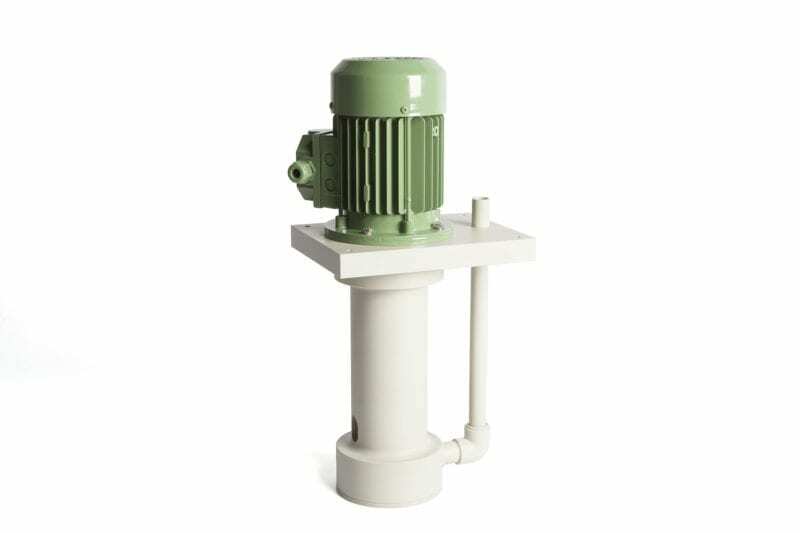 The Corode vertical pumps have a pump housing and impeller which are made entirely of plastic and are fitted as standard with a pre-strainer and an one-piece drive shaft. 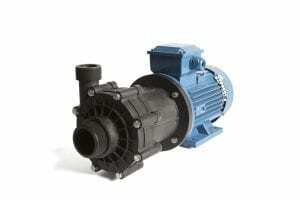 The pump housings have been designed in such a way that a liquid seal is created in the pump housing. As a result there is no need for a mechanical seal and no frictional heat is caused. This means the pump will never run dry nor break down if the pump runs without liquid being pumped. The suction tube can be extended on request. All this together makes the pump suitable for pumping round process liquids and for the complete pumping out of the process tank. 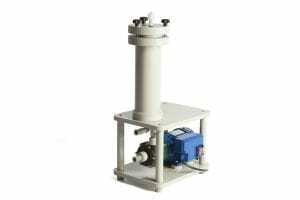 The Corode vertical pumps are assembled together with a PP or PVDF pump housing. The fact that liquids only come into contact with plastic makes this immersion pump ideally suited for the pumping of chemical and corrosive liquids. The Corode filter units are constructed from PP or PVDF filter housings finished in 316 stainless steel. Liquids only come into contact with the selected plastic. This makes the filter unit suitable for the filtering and degreasing of liquids with chemical, corrosive and caustic properties, or other industrial liquids. 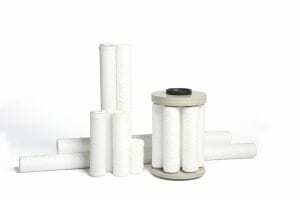 Corode can offer you a multitude of filter media for the filtering and purifying of chemical liquids. The filter media delivery programme consists of: filter cartridges, filter paper, filter bags and absorption yarn for degreasing purposes. The Corode CPMD magnetic drive centrifugal pumps are a safe way of pumping chemical and corrosive liquids through a closed pump housing without shaft seal. 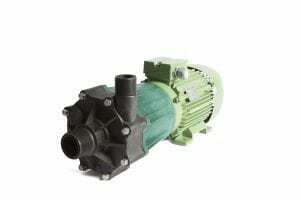 The pump housing is constructed entirely from PP and PVDF. 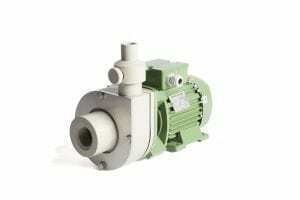 The Corode MAG magnetic drive centrifugal pumps can be delivered from stock with a maximum pumping capacity of 1m³/h up to and including 30m³/h. Larger pump capacities are available on request. 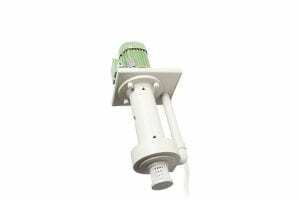 The Corode vertical pumps have a pump housing and impeller which are made entirely of plastic and are fitted as standard with a pre-strainer and a one-piece drive shaft. The Corode seal pumps are extremely suitable for pumping chemical and highly corrosive liquids containing small particles. If you would like to have specific adaptations of our Corode products or if you have any questions, please contact us at 0031-(0)161-244250.